Organizing all your client contacts and data in one source. This increases your organization’s productivity by having staff spend less time looking for information while helping them make better-informed decisions through access to the right information. Letting you contact all your clients with just one click. A good mortgage CRM system should take care of communicating with your past customers, prospects and referral partners for you. However, it should also let you contact your clients as needed with minimal effort on your part. Tracking all your referrals and leads. Generating reports that track important KPIs such as customer satisfaction, email marketing metrics, referral sources, and more. Making sure you never lose track of a referral or potential lead by integrating with your email, social media, and other accounts. The CRM industry has seen tremendous growth in recent years and experts predict it will become a $36 billion market in 2017. It’s estimated that over 90 percent of businesses with over 10 employees now use a CRM. The reason? The improved access to customer data has been shown to be a fundamental component of growth. 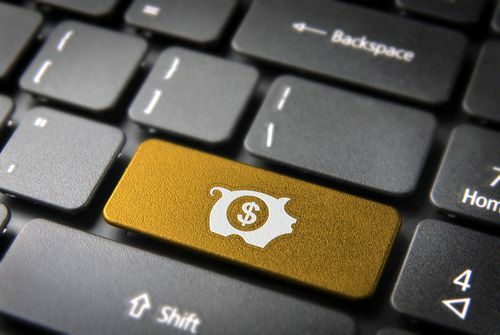 A good mortgage CRM is a vital tool for lenders. Long gone are the days of a simple customer database. Today, you need a solution that integrates marketing-oriented and customer-focused features. One that lets you close more loans, generate leads, and automate marketing campaigns. 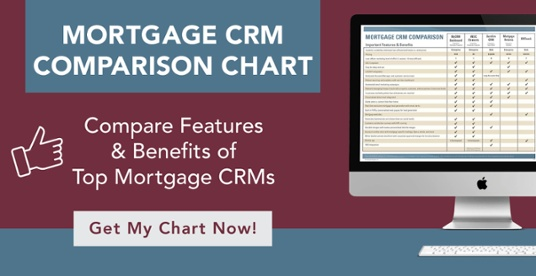 The best mortgage CRM is the one that lets you do all that and create an exceptional level of service that results in loyal customers who refer and return.